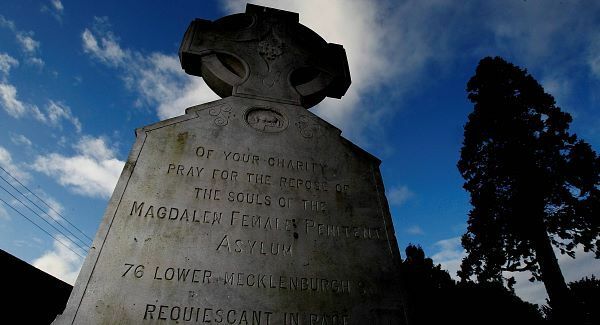 The UN committee which forced the Government to investigate the Magdalene Laundries has criticised the McAleese report into them as “incomplete” and lacking “many elements of a prompt, independent, and thorough investigation”. In a letter to Irish UN representative Gerard Corr, the vice-chair of UN Committee Against Torture (Uncat) hit out at the inquiry headed by former senator Martin McAleese. Felice Gaer said the probe was not independent and failed adequately to examine allegations of physical abuse, forced labour, and arbitrary detention. She also called on the Government to ensure that “that there is a full enquiry into all complaints of abuse”. “However, the committee also noted that while the inquiry conducted by the McAleese Committee had a broad mandate ‘to establish the facts of State involvement with the Magdalene Laundries’, it lacked many elements of a prompt, independent and thorough investigation as recommended by the committee in its concluding observations,” Ms Gaer wrote. Ms Gaer hit out at the Government’s response to Uncat, which encouraged victims to report any evidence of wrongdoing directly. She said that the Government had already been presented with “extensive survivor testimony” by the Justice for Magdalenes group and was “aware of the existence of possible criminal wrong-doings, including physical and psychological abuse”. “Please clarify whether the State party intends to set up an inquiry body that is independent, with definite terms of reference, and statutory powers to compel evidence, and retain evidence obtained from relevant religious bodies,” said Ms Gaer. “Would such an enquiry be empowered with the capacity to hold public hearings or obtain access to evidence for survivors or representative groups? Echoing concerns consistently raised by JFM, Ms Gaer also asked for clarification about the proposed Quirke redress scheme for laundry survivors. “Please also clarify whether the Quirke investigation process will have independent statutory powers, be transparent and subject to an appeals process, and independently monitored,” said Ms Gaer. The Department of Justice said a response would be issued in due course. At least have the guts two apologies to the children of these women. One was my mum who spent her life and left in a coffin to there filthy disgusting mass grave. I want a monument at St finbars graveyard in cork for all the women buried their. Irish government the night in the dial you more are less said the children of these women are worthless you excluded me a child that went into the laundries and who was emotionally abused in every way. As I said I will fight for my family. Why say sorry to dead women when their children were not included. Government ministers ye have no guts. You have a report and make decisions without the full facts. Shame.